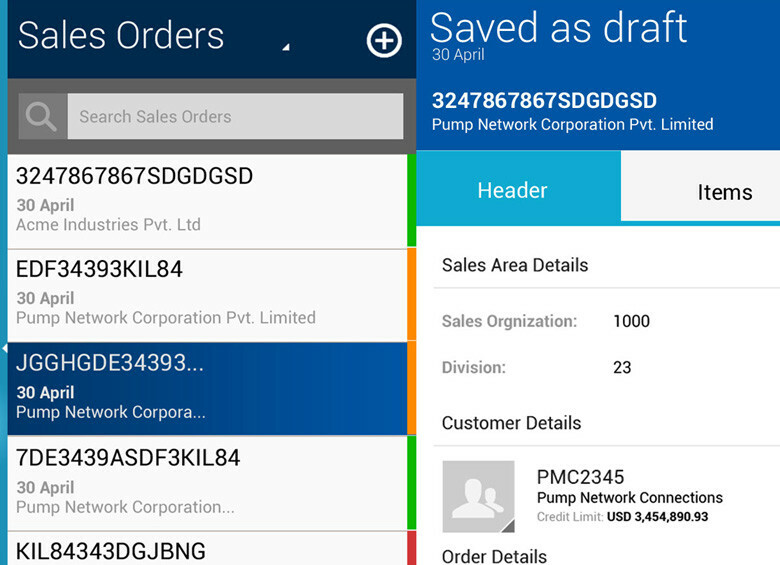 GoOrder brings you the best of Sales Automation for SAP ERP by integrating an intuitive dashboard, dealer and product management, visit planning and order booking with a visually pleasing GIS interface for the Web and Mobile worlds. 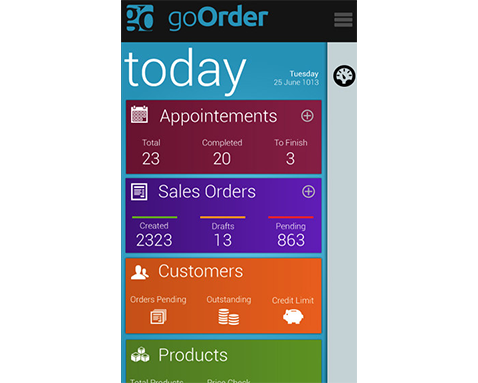 GoOrder is ultra responsive and can run across smartphones, tablets and browsers. 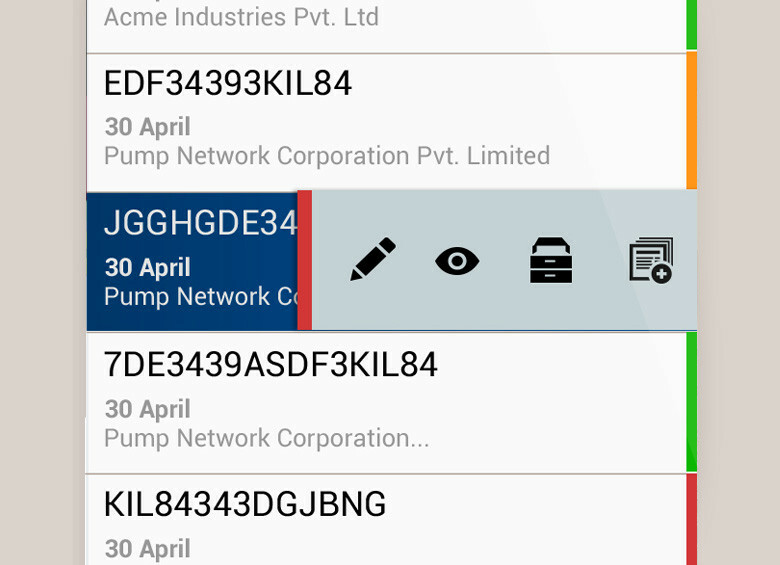 Graphical representation of the prime data is displayed in the dashboard. The pending sales orders, Top5 sales, Top 5 customer outstanding etc. are displayed in a graphical form to give you a quick overview of the sales activities and guide you through the vital statistics. Your need your numbers. 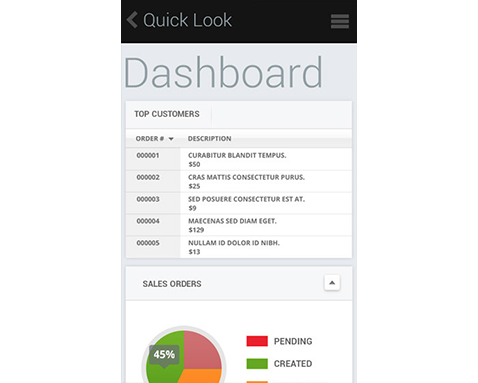 Visualize total sales, dig in by sales rep and get the most current snapshot of total revenue as on date. 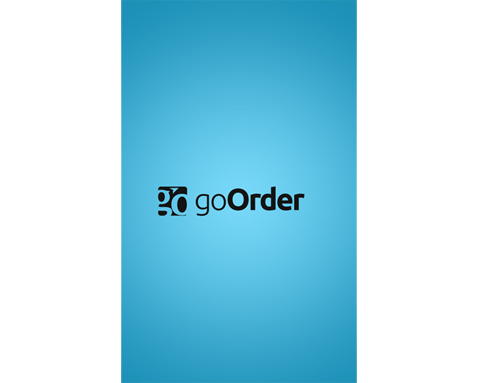 GoOrder keeps you on top of things! 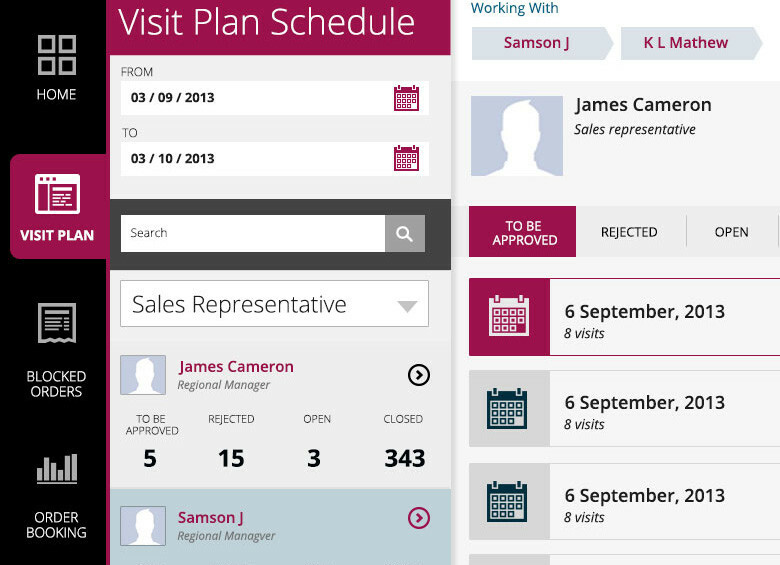 Your sales reps need to create and view appointments instantly. 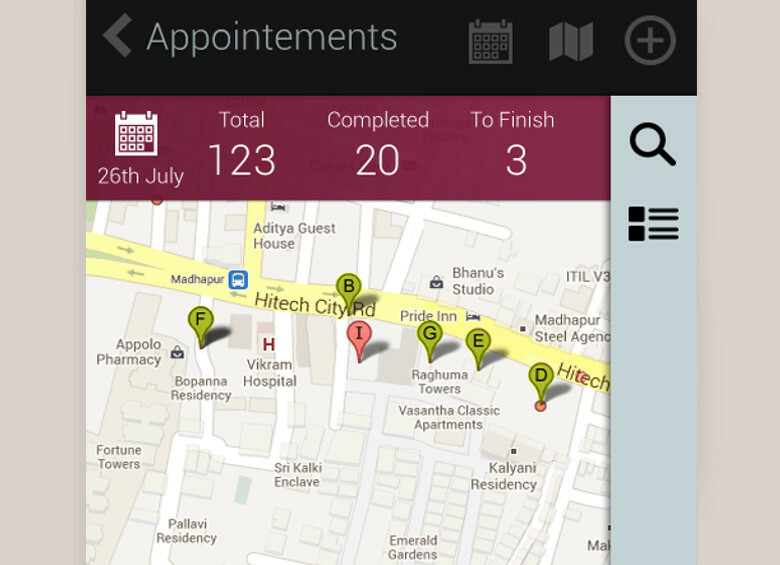 GoOrder's map based interface gets this done in a jiffy. 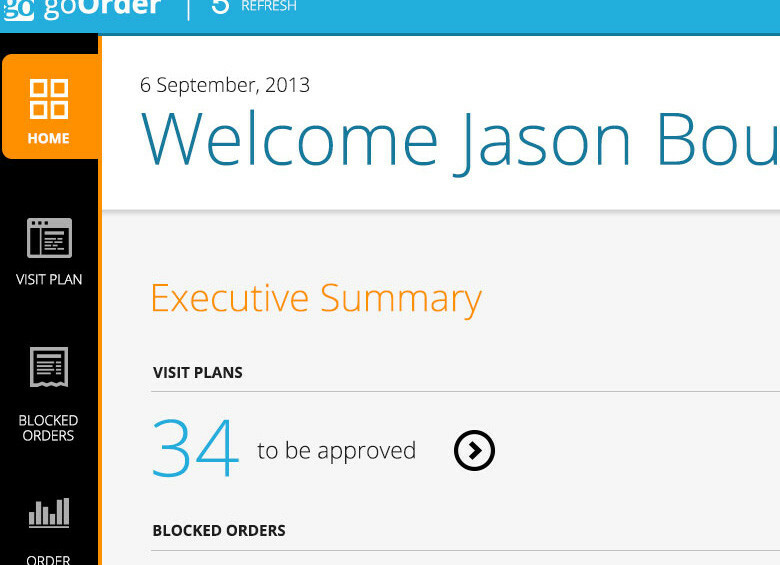 Facilitate visit plan approvals on the move. Allow sales reps to share their calendar with you and keep you in the loop. GoOrder creates collaborative planning! 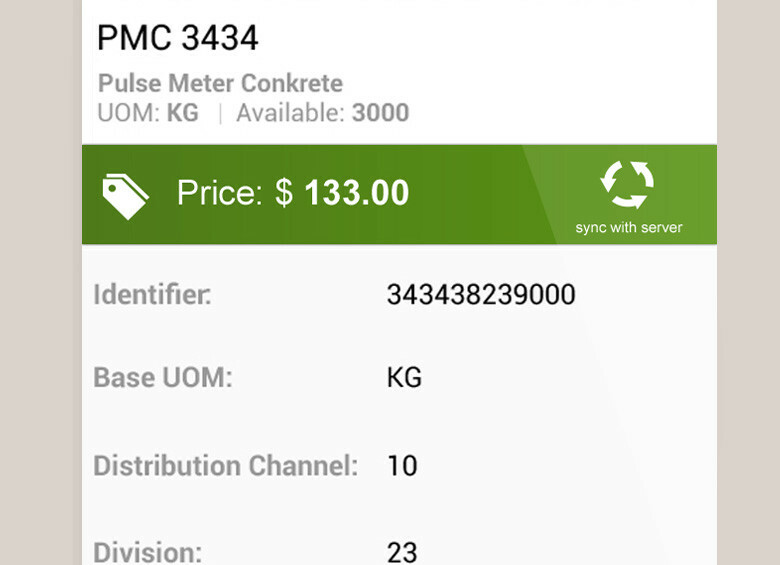 Create, modify, simulate and confirm sales orders with our colorful and easy interface. We promise you will be impressed. GoOrder is cool! Authorize removal of any credit blocks that come up. 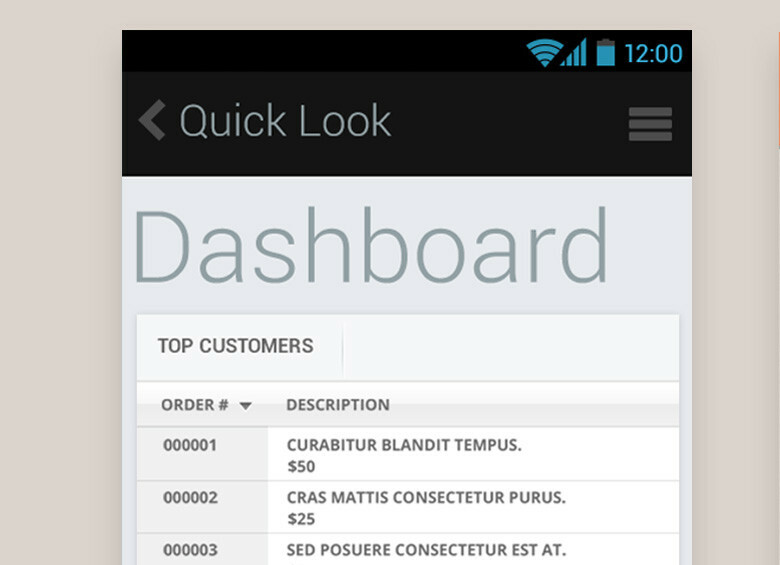 GoOrder closes the loop between order creation and approvals. 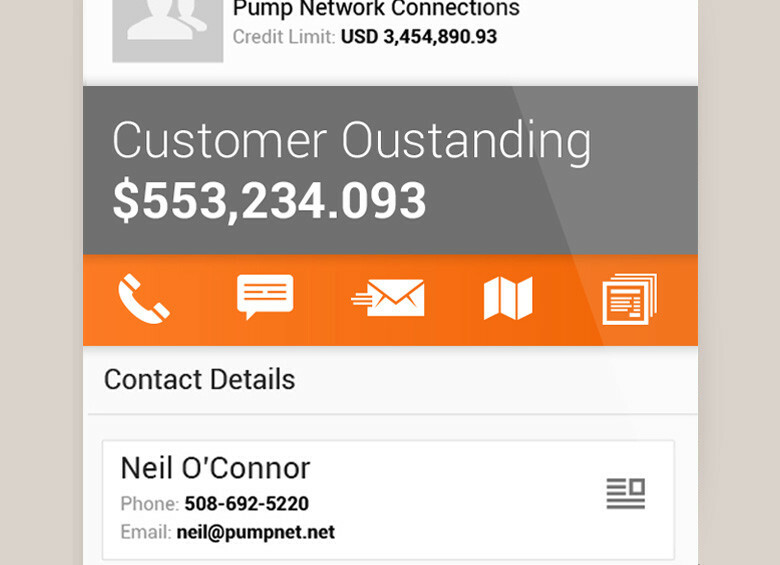 Immediate access to your list of customers, their contact details, their location, their vital stats (credit limit, outstanding payments) and the ability to text, place a voice call and send them an email - all from a single screen. Isn�t that something!? GoOrder is designed for comfort. A visual speaks more than a thousand words right? 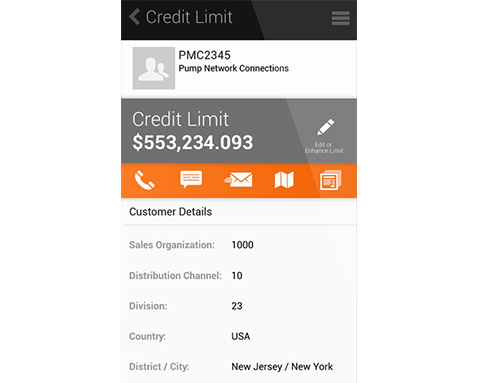 Get access to not just standard SAP data but also relevant PDF's, Price Lists, Promotions, Presentations and even Video demonstrations of your products and services right on your device. GoOrder intends to please! 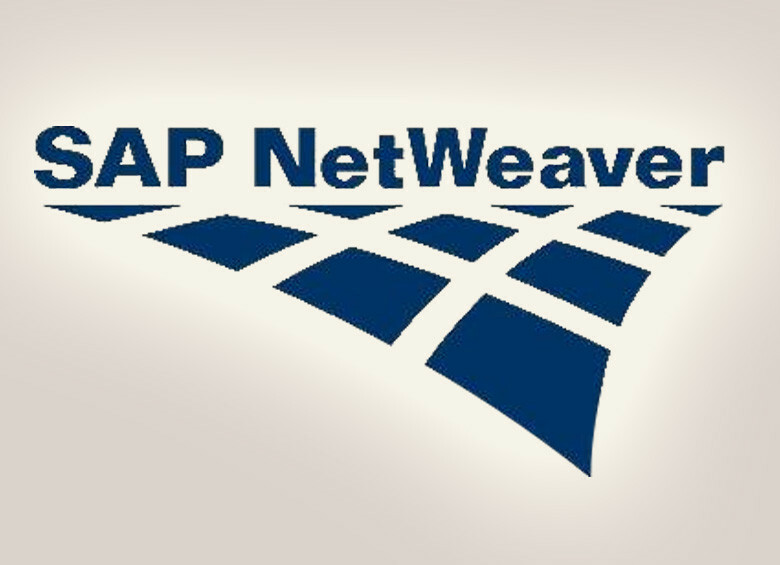 You will love that we chose SAP Netweaver Gateway to integrate with SAP ERP. Keep worries of licensing, usage, integration at bay! SAP Netweaver Gateway is the best choice to connect GoOrder to your SAP ERP system. 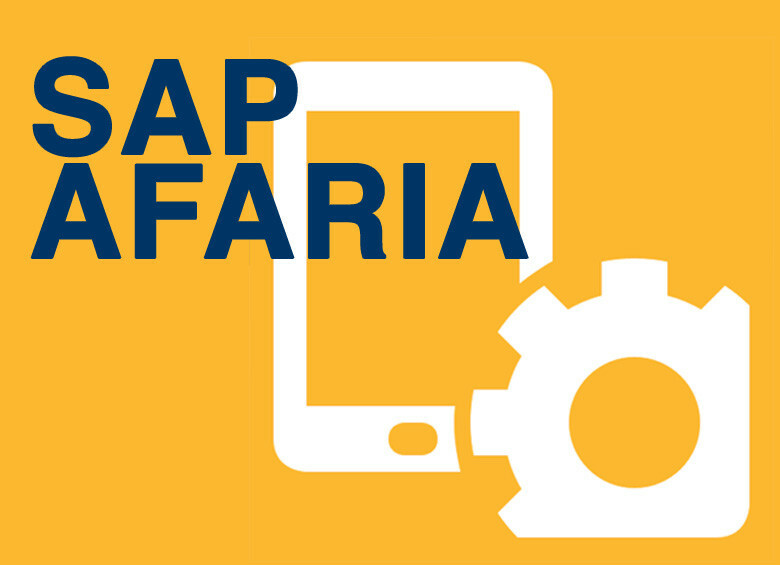 Allow SAP Afaria on cloud to manage your mobile workforce. Afaria on cloud allows you to provision, manage and decommission mobile devices safely in a bring-your-own-device world!